It all started when I bought a skull the year before and thought it may come in useful. 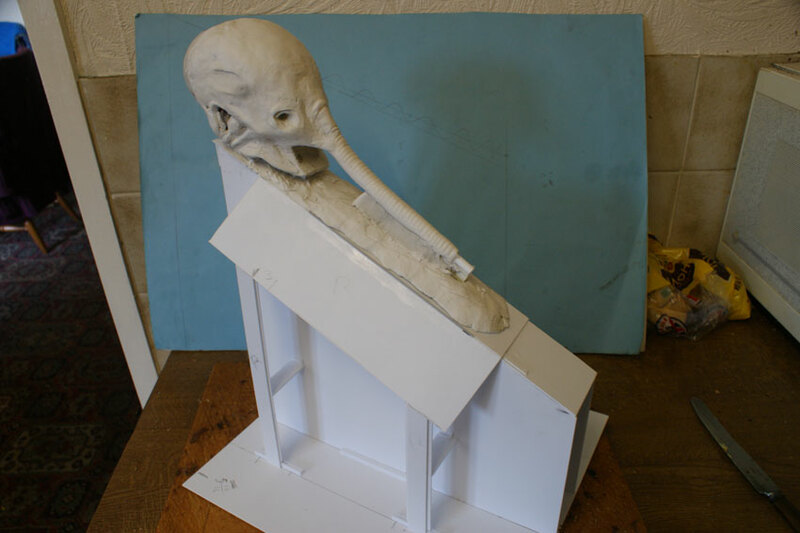 I flattened the top slightly, removed the lower jaw and covered in about 6mm DAS clay. 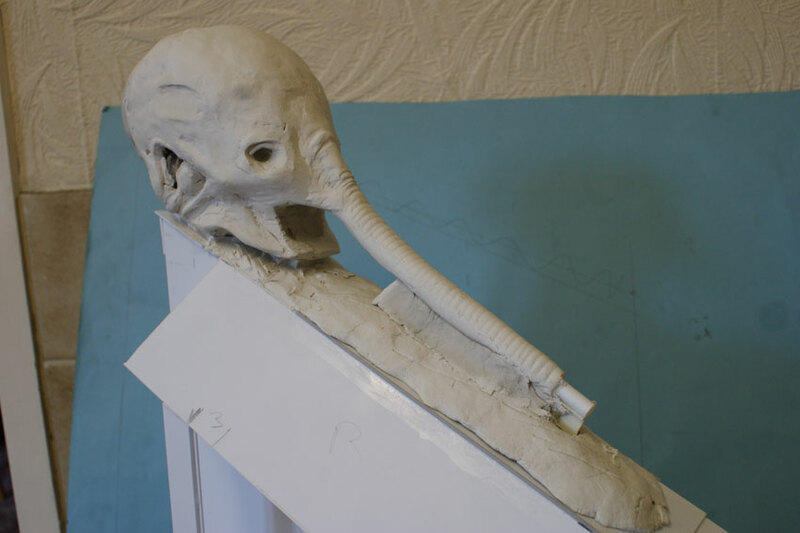 Then elongated the rear, opened up basic eyes ears and mouth and added pip from DAS. The triangle plastic construction was made, then laid on photos in a book to get the angle as near as possible, then 2 side extensions were added from plastic card.